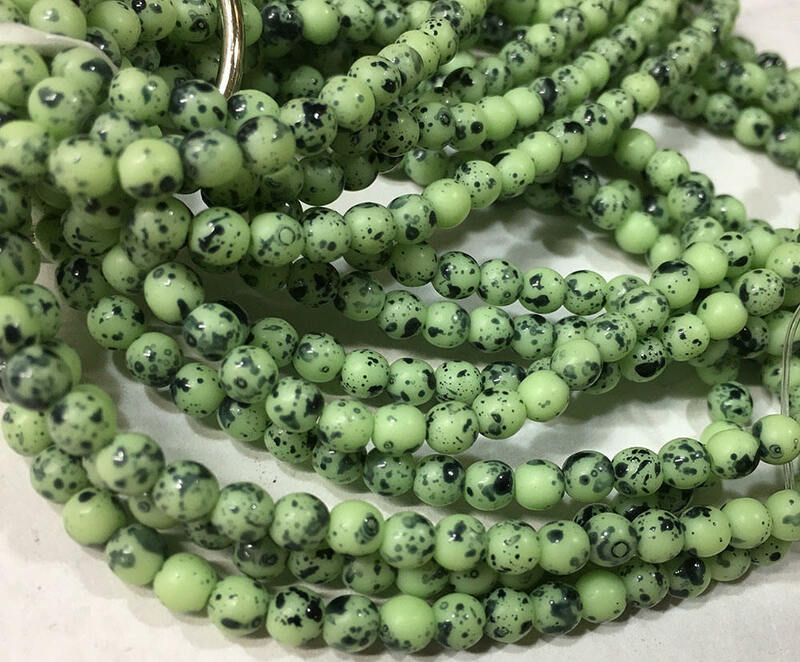 Matte tea green with black spots Czech pressed glass 4mm round Druk beads. There are 50 beads per strand. Love these beads! Very pretty!